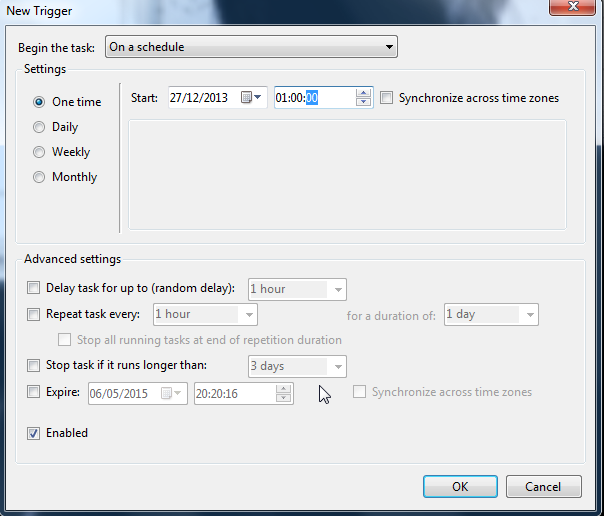 So here is how I use windows 7 task scheduler to shutdown a pc step by step. 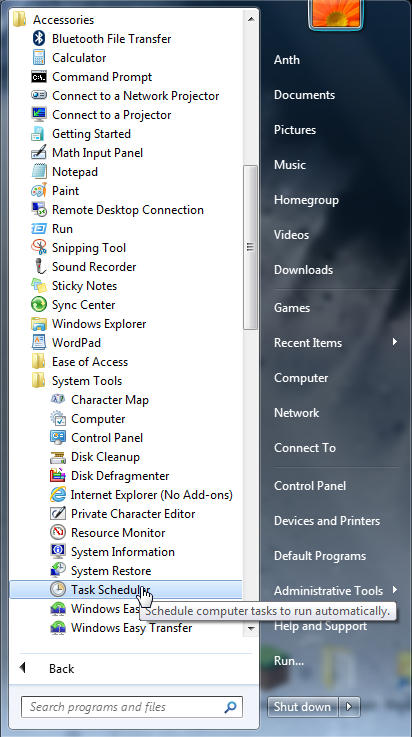 Go to Start All Programs > Accessories > System Tools > Task scheduler or just type it in the search programs and files in the bottom left box of the screenshot. 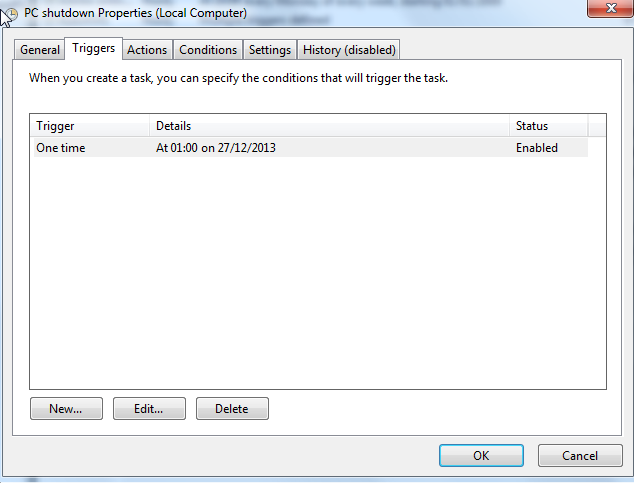 Then name your task PC Shutdown or anything you want. Select the triggers tab and click new to bring up the new trigger. 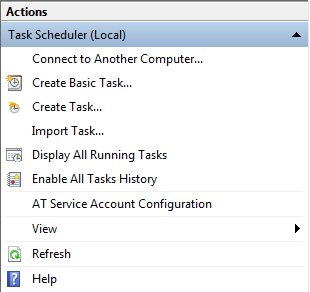 Choose the date and time you want your pc to shutdown and then begin the task on schedule with enabled ticked, press ok.
Should look like this with the date and time you have selected.